The epic ninja adventure that became a global phenomenon! 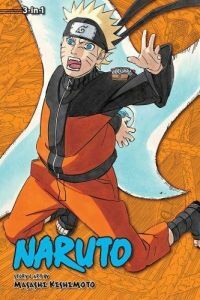 Naruto is a ninja-in-training whose wild antics amuse his teammates. But he's completely serious about one thing: becoming the world's greatest ninja! On Turtle Island, Naruto and the Allied Shinobi Forces prepare to attack Kabuto and Madara. But they are met by Kabuto's hordes of reanimated ninja soldiers, and in the heat of battle, Naruto and his allied friends realize they are coming face-to-face with old friends brought back from the dead!